We realize that in a nightclub environment, all patrons are important to the success of your business. ESI Security Services regularly trains its officers in customer care, conflict resolution, and de-escalation techniques to provide your patrons an enjoyable experience. 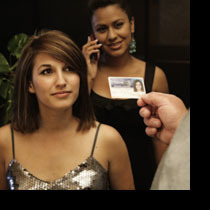 Our nightclub officers go through extensive on-the-job training and classroom instruction in the safe use of handcuffs, crowd management, ID verification, and defensive tactics. With ESI Security Services as your nightclub security provider, we will help make your nightclub venue a successful and safe place for both you, your employees, and your patrons.